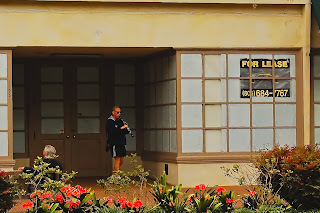 On, 16 September 2009, I visited the Page Museum located at the Rancho La Brea Tar Pits in the heart of Los Angeles. The Museum is one of the world’s most famous fossil localities, recognized for having the largest and most diverse assemblage of extinct Ice Age plants and animals in the world. 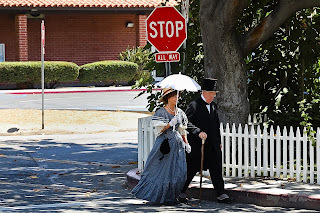 Visitors can learn about Los Angeles as it was between 10,000 and 40,000 years ago, during the last Ice Age, when animals such as saber-toothed cats and mammoths roamed the Los Angeles Basin. Through windows at the Page Museum Laboratory, visitors can watch bones being cleaned and repaired. Outside the Museum, in Hancock Park, life-size replicas of several extinct mammals are featured. I made the mistake of shooting most of the pictures at ISO 3200 when it was not needed. I never used an ISO setting this high (1600 was my previous high) and I wanted to try it out. I have Good news and bad news. The D700 performed flawlessly and very clean. However, ISO 3200 is so sensitive that many of highlights were blown because of the spot lighting reflecting on the subjects. The reflections were not that obvious. Now, I know. This past Sunday, 6 September 2009, I took my D700 and the Nikon 14-24 to the Norton Simon Museum. The Museum is very well known as one of the most remarkable private art collections. Over a thirty-year period industrialist Norton Simon (1907–1993) amassed a collection of European art from the Renaissance to the 20th. century and a stellar collection of South and Southeast Asian art spanning 2,000 years. Among the most celebrated works he collected are Branchini Madonna, 1427 , by Giovanni dide Zurbarán; Portrait of a Boy, c. 1655-60, by Rembrandt van Rijn; Mulberry Tre, 1889, by Vincent van Gogh; Little Dancer Aged Fourteen, 1878-81, by Edgar Degas; and Woman with a Book, 1932, by Pablo Picasso. Highlights from the Asian collection include the bronze sculptures Buddha Shakyamuni, c. 550, India: Bihar, Gupta period, and Shiva as King of Dance, c. 1000, India: Tamil Nadu; and the gilt bronze Indra 13th century, Nepal. Update: I visited the Norton Simon Museum, the following Sunday, 13 September 2009, with the D700 + the Nikon Micro 105mm VR f/2.8G N. I have merged the two sets of photographs in the "Norton Simon Museum" gallery; the link to the gallery is above. A brush fire that broke out at 7:55 p.m. Thursday, Aug. 27 in the Portuguese Bend area of Rancho Palos Verdes, burned 230 acres. This is the city I live, so I went out with Nikon D700 and the Nikkor 70-200 VR f/2.8 lens to capture images of the fire. My main problem was that I did not take the tripod. I had no idea how big the fire was and if I had to evacuate the area in a minute's notice. In retrospect, I should have taken it and placed in the trunk of my car, just in case I could have used it - next time there is a news event. It was very hard to shoot at very low speeds even with a VR lens. The whole story of the fires is here. All the pictures of the fire that I kept, can be seen in my Photo Gallery or in the Slide Show Format. I am beginning to look into HDR photography as a main medium. I have always been interested in HDR, but have never gotten around it. 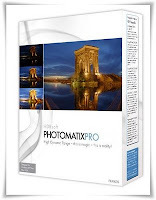 In order to pursue this interest, I just purchased the "Photomatix Pro" software, which seems to be the standard of the industry. I have no idea, at this time, how far I will take HDR, how I'll use it, and what personal style I will develop. There is a wide range of HDR photos in the Internet. Some are very nice while others are very exaggerated to the point of being almost "gothic," imho. Therefore, I still do not know what middle ground would work best for me. Regardless, I feel that this is a very exciting new medium that will find its right course. For example, I remember when the stereo or quadraphonic sound was first introduced. The marketing strategy, at the time, was to have the sound go from one speaker to another, like placing the listener in the middle of a formula-1 raceway. However, that is not how people listen to music and it changed with time and so will HDR. If I pursue this interest with certain vigor, I will post the tools, links, and sites to HDR photography. One further thought, this blog will turn its attention to photography knowhow instead of equipment - I have everything I need for the next three years or more. The only thing is camera upgrades, if mine develop an unacceptable level of "hot pixels." I just reformatted Hektor's Blog adopting the traditional one. The reason I chose the stretched version before was because I have a 24" wide-screen for the main PC and even though my laptop only has a 12.4" screen, it is also wide. When I saw the blog for the first time on a normal screen, I realized that the it had the wrong format; it does not work well for not wide-screens displays. I do not have any illusions or delusions that people are going to flock to my blog; it is only the 10,000,001th one out there. My main use is as a very advanced Home Page and a place that I keep my notes organized instead of using software like "One Note." Therefore, I consider my tools and links to be extremely important.- they might be worth visiting the site once I get them going. Unfortunately due to the new format, I had to delete the messages with the F-Stops and Shutter Speeds tables; the new writing space is too narrow. Regardless, I will reintroduce them in a few days, with a new format. "Nikon Ways" make sense to Nikon but not to anyone else. As I said in a previous message, I'm getting to the end of the line with them. I am very sure that in the long run they have a very well thought out line of products that they are going to introduce the coming year and even in the next five years. The problem is that they adhere to their well honored tradition of stealth decisions, shrouded in veils of secrecy, executed with cloak and dagger. Probably, they had planed the AF-S 35mm DX f/1.8 and the AF-S 10-24mm DX f/3.5-4.5 with other lenses to be introduced this year, for example. However, they could have rushed the introduction of the mentioned lenses because DX lenses are big sellers especially in a world-wide economic recession. To me, it looks like they have no plan and that they are all over the field making them very unpredictable. Obviously Nikon has its own time table; so do I. Why do I have to march to theirs? I need to know what they are working on so I can plan accordin gly and even develop my own 5-year plan. At this time, it is a fly-by-the-pants type of approach to photo equipment. 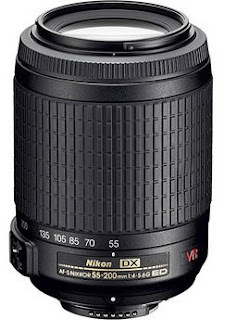 I do not expect or demand to know exactly what Nikon is working on like a AF-S 70-200mm f/2.5G VRII ED-IF N due to be released on 30 August 2009, but more like what Nikon is working like mid-range primes but with an uncertain release date. That is all I need. 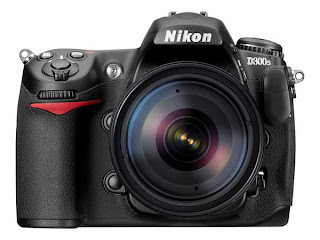 According to rumors that are flying all over the Internet, Nikon has scheduled two press conferences: July 30th and August 4th. The guess is that they are going to announce the D300s in the July press conference and the D4000 in the August one. Even to the level of a Nikon Press conference is shrouded in mystery. They are also expected announce several Coolpix cameras and new lenses in both press conferences. Therefore, I have postponed my next lens decision until then. If not, I'm bolting to Zeiss. The problem is that Nikkor lenses are excellent and for the price, second to none, if not for the secrecy. I expect the new version of the AF-S 80-400mm f/4-5.6G ED-IF N to be one of the lenses announced. I have no doubt that the quality will rival that of the Nikon 70-200 VR, but slower. When, I ordered my copy of the 70-200 VR knowing that 80-400 was a done deal and a matter of time. I still can't believe that Nikon took such a long time with this lens. I strongly believe it would be a huge seller. Sigma has killed Nikon in this price range and focal length. Some other lens I did not think about and would be nice to have. With the CMOS digital censor reaching, what I believe, its maximum potential, I was wondering what was the future of Digital Censors. I have read many articles about it, which I will post the links to them, below. This is a very important topic for me because I need to know if I can continue to expend serious money in more lenses or I should start saving up for new technology cameras that are coming down the line. Let me start with the differences between CMOS, CCD, and Foveon sensors. The following article is a bit dated (they all are,) but is is a good start. It is also written by Dalsa, one of the early developers of both censors: CCD vs CMOS. What is the Foveon sensor all about? The following article is about the Foveon vs Beyer Sensors. 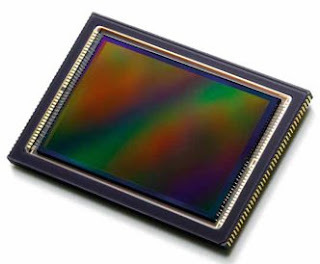 This article discusses the Sony 24.8 MP CMOS Sensor". The following are a series of articles of what seems to be a very promising future: "Digital Camera Sensor Loves Low Lighting", "Future Digital Cameras Could Mimic Human Eye", "What's Next for Digital Cameras, and "Panasonic Next Generation MOS Censor". For "Street Photography" I use the D300, the Nikon 16-85mm DX VR II f/3.5-5.6, and the Nikon AF-S DX VR 55m-200mm f/4-5.6 ED. I find this combination to quite good because the lenses give the extra reach and yet they are quite small and unobtrusive. It is the only time I go out with two lenses. I am not that comfortable in shooting people that are not willing to pose for the camera. Two things can occur. One, they might not like it leading to uncomfortable situations and the other, they might like it so much that they start posting for the camera. Either way, it is not a good thing. I want to catch people being themselves. 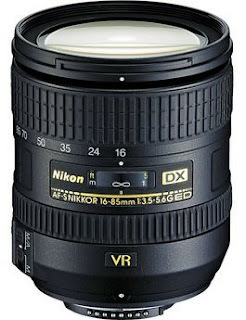 The Nikon 16-85 is my main lens or an effective 24mm-130mm in DX format or what is called the "Street Sweeper." Sometimes I need a longer reach and the Nikon 55-200 VR met my requirements. I really do not want to shoot with a telescope looking lens and that is why I sold the Nikon 70-300 VR. It is as long as the 70-200 VR fully extended. The 55-200 is a very good lens with VR and an ED element. Its biggest problem is built, especially the plastic mount. Therefore, I would not carry the camera holding on to the lens. In other words, I have to be a bit more careful with this lens than the others and will last a long time. 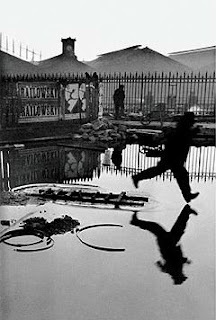 Henri Cartier-Bresson is considered one of the best photographers ever and the father of "Photojournalism." He only used the two lenses in his life, the 28mm and the 50 mm. That is why I consider those two focal lengths as the classical ones. However, Cartier-Bresson did not have a reliable and very good zoom in his day. Otherwise, I believe that he would have opted for one. In addition, in his day and when he was most active, anything below 28mm distorted. 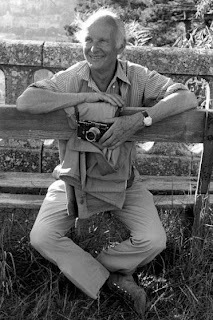 Regardless, if it was good enough for Henri Cartier Bresson, it is good enough for me. As I understand it, Cartier-Bresson used a myriad of techniques for his street shooting. He used to hide the camera with a handkerchief and fake a sneeze before pressing the shutter in order to capture candid type of photos. I cannot imagine what my results might be if I press the shutter while sneezing. I rather use longer lenses. Even with the a compact and unobtrusive tele like the 55-200 VR, it can create problems illustrated in the photo above. 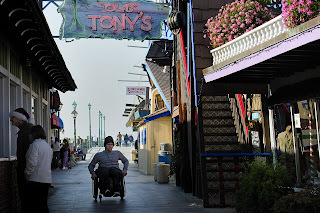 The reason I shot this young man was because he was in a wheel chair coming down this long peer ramp and not because he is wheelchair bound. Before I get into his reaction, let me talk about the photo, first. I missed the opportunity, because I could not decide on the focal length and let him get too close to me. What I wanted was the contrast between this lonely figure coming a long and desolate ramp. Well, I captured a lot of people and the subject is too close. In addition, the day was overcast with nothing but soft lighting without contrast. Never mind about the sunshine in the side of the photo. It was only there for a very brief time and all it did was to further ruin the photo - I did not realize it until I saw the results at home. It is obvious that this young man has a lot of trouble reconciling with his fate. He thought, I believe, that I was shooting him because he is a "cripple," which is partly true. I did shoot him because he was in a wheel chair and not because he is a "cripple." In the viewfinder, I saw that he was getting ready to confront me. What I did, was that as soon a he got very close to me, I stepped to the right and continued shooting without him. In other words, my message was that he was in the way. I saw from the side of my eye that his demeanor changed dramatically. This is also what I do, many times, when people do not appreciate me taking their photos - it works. "Street Photography" to me is much more than the traditional photos of having a subject, simplifying the photo, and putting all the attention on the subject. Then, it becomes a portrait set in the streets. To me, street photography must have a primary subject, a secondary one - a structure like a building, - at least a tertiary subject, and have a dramatic contrast between all the subjects. "Street Photography" can also be described as social commentary type of photography or even photo journalism without an assignment or deadline. For example and to illustrate what I'm saying, let us say that I take the photograph of a homeless person or a beggar, in front of a building. The main subject is obvious; it is the beggar. The social commentary might be to highlight the present hard economic times. I can isolate the beggar and simplify the photo, but is that enough? IMHO, that is a portraiture of a beggar set in the streets. I could have had the same same social commentary of the beggar done in a studio. Let's bring a secondary subject or a building that is in focus and not part of the bokeh . Let us say that the beggar is in front of Tiffany. That is a much more powerful photo with a much stronger social commentary. We have a beggar pleading for basic needs like food, clothing, and shelter in front of a store world renown for its expensive and exquisite jewelry - the have-nots vs opulence - a powerful statement. Lets bring a tertiary subject also in focus. There is a man, standing in the entrance to Tiffany, who works for the store, staring at the beggar. What is he thinking? This beggar is driving potential customers away. He is looking at the beggar with compassion or disdain. "I'll be joining this beggar if I lose my job?" That is what I strive for with "Street Photography." It is not that easy, but I strongly feel that it is much more than a portraiture set in the streets. It must have some underlying social commentary and dramatic contrasts between the different subjects. If I was able to shoot the the photo of the beggar and Tiffany and bring it up for critique, it would be chopped to pieces. What is this photograph about? Is it the beggar, Tiffany, or the man standing in the entrance to Tiffany? This photograph is too confusing - it has too many subjects and it is distracting. And so on. The photo is about all three subjects and how they interact with each other, besides the photographic value. Without the dramatic contrasts between all three subjects, it is not the same photo. From time to time, I will digress. My other two hobbies are football (soccer) and Ancient Egypt (Kemet.) This past year, for the first time ever, I began following the Barcelona (Barça) Football Club from Spain. I have never enjoyed myself more. Barça is the best football team that I have ever seen in my life. They did not just play soccer they gave seminars on how to play soccer and win, in every game they played. They also won everything or the “Treble:” their league, the Kings Cup, and the European Champions league; I became a follower of the team. I really do not care if they win or lose in the future (obviously it is better if they win,) who can forget this unforgettable season. That is why I have the news gadget to follow the news from Barça and their nemesis, Real Madrid, during the off-season. Real Madrid is a joke with their newly elected President, Florentino Perez, acting like a third rate Demagogue from a Banana Republic. This is no exaggeration. I watched one of his campaign speeches - typical of a flea-market charlatan. It reminded of a politician promising anything and everything to get elected, including the bridge. What bridge? We have no river! "Do not despair, I'll give you the river, too." They put teams together like twelve-years-old would: I want Cristiano Ronaldo ($130 million,) I want Kaka ($120 million,) I want Rooney, I want Gerard, I want Messi, I want Aguero, etc. They have more money than brains – they are destroying soccer. To pay $130 mils for Ronaldo is not only insane but also obscene. They just do not develop players, they just buy them. It is like the Yankees times ten. A few years ago they were in financial crisis with a debt of over $250 millions. How did they resolve it? The city of Madrid bought their facilities for $250 millions and leased them back to the team for 99 years and $1/year. In other words, the city of Madrid is subsidizing the team and that is why they play with monopoly money. The only reason I follow their news is because I want to know what these turkeys are up to. So far they only got Kaka and the rumors are Ronaldo and David Villa.